The state’s coal ash crisis is under control. 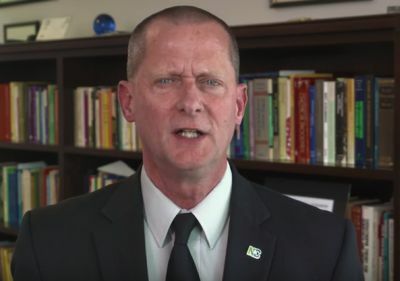 That’s what the North Carolina Department of Environmental Quality wants viewers to believe, in a recently released a five-and-a-half minute video on the agency’s website and YouTube channel. In the video, Secretary Donald van der Vaart and Assistant Secretary Tom Reeder tout what they view as protective provisions in the new coal ash law that Governor McCrory signed earlier this month. However, while the presentation is in many ways factual, it’s not necessarily truthful. Omissions of fact, slippery language, and industry jargon combine for misleading reassurances that North Carolinians are protected by the full force of the law. 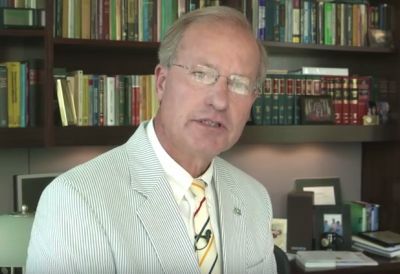 Van der Vaart plays the good cop, telling viewers that the law establishes firm deadlines for providing water connections to households and businesses with wells contaminated by chemicals and compounds found in coal ash. What van der Vaart doesn’t say is that Duke Energy has as late as the fall of 2019 to connect those households, and that he, as Secretary, has the power to extend deadlines to the utility. Reeder, though, is the bad cop. His task is clearly to vilify the previous Democratic administrations, faulting them for giving Duke Energy a pass. But Reeder, an 18-year-veteran of the department, served under those administrations: Governors Jim Hunt, Mike Easley and Beverly Perdue. He worked as an engineer in the divisions of Air Quality and Water Quality for 10 years before being named the Director of the Division of Water Resources in 2008. Under former DEQ Secretary John Skvarla, Reeder had been in charge of the Division of Water Quality for eight months when Duke Energy’s coal ash pond ruptured, spilling at least 82,000 tons of coal ash and 27 million gallons of contaminated water into the Dan River. Below is a transcript of both van der Vaart’s and Reeder’s speeches, annotated with additional important information that they excluded. NCPW: As DEQ secretary, van der Vaart has the power to allow Duke Energy to miss its deadline to remedy impoundments and coal ash residue. The utility can blow its deadline if for some reason, it can’t use the “best available technology found to be economically reasonable” and it would produce a “serious hardship” without an equal or greater public benefit. Translation: If it’s too expensive. NCPW: The Tennessee Valley Authority began converting its wet-ash ponds to dry-ash in 2009. Permanent drinking water connections in North Carolina aren’t required until at least 2018, and with an extension approved by the Secretary, late 2019. Annual dam inspections start as late as 2018. Some ash will be stored in impoundments, even though the public requested alternate disposal methods, like excavation. NCPW: In 2015, DEQ provided bottled water to 240 households whose well water was contaminated. A year later, under pressure from Duke Energy, DEQ and the Department of Health and Human Services reversed the no-drink order. DEQ designated households within a half-mile downhill as potentially eligible for new water supplies. However, in Cleveland County, contamination has been found beyond the half-mile boundary. NCPW: McCrory’s primary motivation for vetoing SB 71 was his belief that the legislature overstepped constitutional boundaries by reserving the right to appoint members to the Coal Ash Commission. The commission ostensibly would have been the oversight body for coal ash disposal. DEQ now has complete control over enforcement and oversight. McCrory, a former manager at Duke Energy, appoints the DEQ Secretary. NCPW: SB 71 would have classified all coal ash sites as either intermediate- or high-risk. Now most of the sites are designated as low-risk, and aren’t required to close until 2029. Three coal ash sites deemed intermediate-risk in Wayne, Chatham, and New Hanover counties won’t be closed until 2024. Duke can receive a year’s extension in providing permanent water to residents — as late as October 2019. NCPW: Cap in place is facing legal challenges in other states, including Virginia, where the Southern Environmental Law Center is suing Dominion Chesapeake Energy over its plan to bury ash in unlined ponds. Cap in place poses many hazards and unknowns. Since the ponds are unlined, groundwater can move horizontally though the pond and carry contaminates beyond the boundary. This happened at a Duke Energy pond at Belews Creek in Stokes County. NCPW: DEQ originally fined Duke Energy $25 million, but a subsequent settlement reduced the amount to just $7 million. Duke is also appealing another $6.6 million fine. By comparison, the federal government fined Duke $102 million. Duke plans to dump three million tons in an abandoned brick mine in Lee County — across from a mobile home park. Another 12 million tons are being disposed in a lined former clay mine in Chatham County. NCPW: Reeder has been with DEQ for 18 years, during the time he charges that regulators under Democratic administrations ignored the dangers of coal ash. He was also in charge of the water quality division when the Dan River spill occurred in 2014. The 2007 legislation, Senate Bill 1492, did allow for landfills specifically for coal ash, but also required them to have liners and to be constructed on the property where the coal-fired power plants were. It also required landfill applicants to deliver a response plan in case of leaks. TR: “The massive spill in Tennessee was 100 times larger than the Dan River spill and should have been a wakeup call for North Carolina. Instead, in 2009, they exempted Duke Energy from having to show their coal ash ponds were structurally sound. If that information had been required, the corroded pipe under the Dan River could have been found, and the spill might have been avoided. NCPW: It is true that some coal ash ponds were grandfathered and not required to submit application, certificate, or other materials in connection with the continued normal operation and maintenance of those facilities. 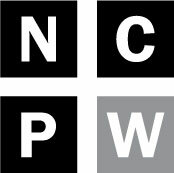 NCPW: The rules were proposed in 2010, but it wasn’t until 2014 that the full force of the first rules went into effect. The McCrory administration has performed no better. In fact, it has consistently maintained that DEQ would be a “business-friendly” agency in issuing permits. Enforcement actions have dropped from an average of 567 a year under Governors Easley and Perdue, to only 268 under McCrory. DEQ also deployed the failed solar bees program at Jordan Lake, in lieu of additional regulations on development. The program was recently canceled. NCPW: The original fine of $25 million was reduced to $7 million. The storage off-site moves the contamination from Duke Energy property to rural and low-income areas. This problem is exacerbated by the fact that local jurisdictions are prohibited by law from regulating the disposal or operation of these landfills. NCPW: A low-income neighborhood consisting of a trailer park is across the street from a proposed coal ash landfill in Sanford, posing environmental justice concerns. TR: We are committed to protecting the environment and the public health from the long-ignored threat of coal ash. NCPW: We will continue to monitor this issue closely in the weeks and months ahead.